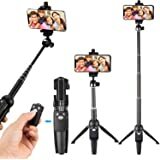 Amazon's Choice for "selfie stick tripod"
【SELFIE STICK TRIPOD WITH SEPERABLE WIRELESS REMOTE】-- 3 in 1 mini wireles selfie stick tripod with built-in bluetooth remote(max distance: 10m), allows you to take selfie-photography by stretching the stick to the length you want,stretch the tripod and put it on the desktop to binge-watching, live, and video with friends and family,or you could seperate the wireless remote to take full-body shot and group photos like parties, graduation, wedding, travel. 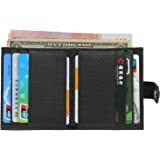 【MINI TYPE EASY CARRY AND FREE STRETCH & UNIVERSAL PHONE CLAMP COMPATIBLE】-- 148g weight, 19.9cm folded size, convenient for you take it in your pocket or bag when travel; extendable length between 27.5-67.9cm, use a short length for intimate shots,or make a longer length to get more wider scenery; selfie stick tripod fits 3.5-6 inch most iOS & android phone and you don't need to download extra app. Sold by Rauhimoop and ships from Amazon Fulfillment. 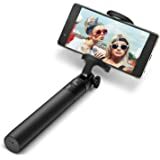 BlitzWolf popular selfie stick with remote control is more than your usual selfie stick, the BW-BS3 is a versatile mini selfie stick tripod, table top tripod and selfie stick. You can separate the controller from the stick and enjoy portable shutter control. Setup the tripod, slide out the controller and you can snap selfies at a distance. The bluetooth remote control is easy to pair and operate, all you need to do is pair to your phone and press the button to capture a shot. 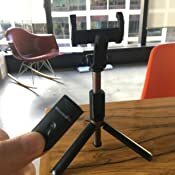 The head of the selfie stick tripod can rotate a full 360 degrees for capturing the perfect shot. The clamp can also be rotate up to 203 degrees. BW-BS3 fits almost every phone with a 3.5-6 inch screen and the remote control requires no extra app. Built with aluminum alloy and rubber, the BW-BS3 is lightweight and holds steady in your hands. The tripod stand also has added rubber support for extra stability. 3. Once successfully paired,the BW-BS3 blue indicator light will illuminate continuously. I was very inpressed upon opening the product. The packaging was very nice clean and smart. Looks impressive if you’re going to gift it to someone. The overall feel of the selfie stick is much more robust than the usually stuff you get. I love the way it doubles up as a tripod and with the help of the remote, it’s easy to set up your whole shot then start recording. 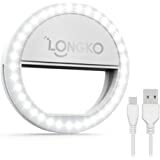 This is especially good for time lapse or video recording. It’s very impressive in Tripod mode too, stays in place. Finally I’m very happy with how responsive the remote control is. 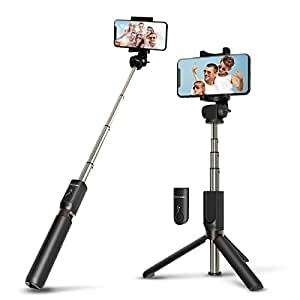 Definately happy to recommend this product to anyone who wants a selfie stick or phone tripod with a detachable remote. Some retail stores charge $10-15 dollars for a cheap plastic selfie stick with a wired remote which isn’t reaponsive. 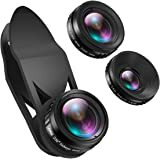 Pay a littl extra and you get a great build, tripod, something that feels great and functions well. Definately happy with this purchase. 5.0 out of 5 starsA selfies stick with a tripod stand and then a remote makes a good combo. 5.0 out of 5 starsBest Selfie Stick I've ever had. Great product. Really happy with how good the quality is. Super compact but durable. Really love the tripod and remote too. Just perfect for what I wanted!!!! 5.0 out of 5 starsUmm yes please. I literally couldn’t wait to tell somebody about how awesome this is! At first I didn’t think it would be a tripod s it took me awhile to work out the legs and angles but push down pole pull the three legs out. It has a remote so you can take photos from anywhere ( well within a radius I assume). I blue tacked my remote to the back. So I won’t lose it. Great item. Super happy. 5.0 out of 5 starsReally recommend it ! I bought this tripod to take pictures of my girlfriend and I down the beach, and the reach is quite long which is perfect to make amazing picture. We also took it at a friend’s party on the weekend and manage to fit everyone in the picture very easily. 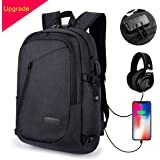 The quality of the product is really good, seems indestructible !! 5.0 out of 5 starsYou can't beat blitz wolf! Wanted an expensive selfie stick for so long but always cheaped out! So happy that I didn't! Overall quality is good! Functions as a stand very well! Used for a week now and battery is still going strong! Going to throw my old 5 buck selfie stick away! 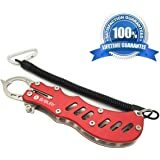 I love the big handle but overall small volumes product! 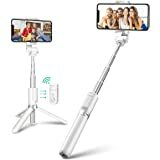 This selfie stick is a good gift for me ,i want to purchase another one for my mom. 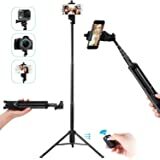 Pros: frist, the selfie stick can retate 360, it help me to selfie .and it got tripod to help me take group photos and i can watch video throught this selfie stick tripod too .I like using it when i’m eating and boring .The most important is the selfie stick got bluetooth remote and very light ,i can carry this in my bag when traveling.the romote is easy to pair my phone ,i love it . Cons:this selfie stick only got two color ,i think many girls want another color ,likes pink and blue . 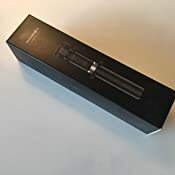 Improve: it should have a more long stick , hope this seller will got a much more long selfie stick , and more color for us to choose . 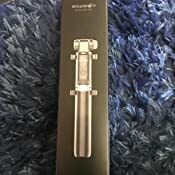 5.0 out of 5 starsWhat a great Selfie Stick I am so pleased with it. What a great selfie Stick I’ve had a few that were average and always let me down. 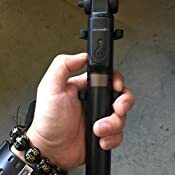 This selfie Stick from BlitzWolf is amazing this is what I’ve been looking for it’s easy to use and has amazing features as well. 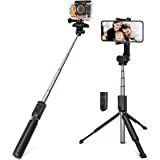 The Selfie stick is solid and very well made the tripod is great, the remote is positioned so it’s not easily damaged or lost. I am very pleased with this selfie stick.